The average price of a home in Gilbert right now is $350,000, so getting a good deal in the area can save you a lot of money! 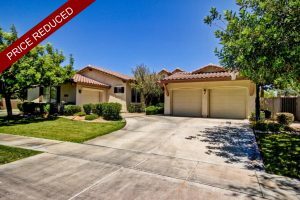 Price reduced homes in Neely Farms not only can be a sign of a good deal, but also a motivated seller. Motivated sellers are sometimes more willing to negotiate the price of their home, or include closing costs to get the deal done. 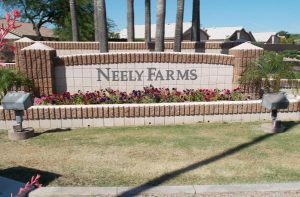 Homes in Neely Farms come on the market, but go under contract very quickly. If you see a home that has been sitting on the market for a bit, that usually shows the seller is wanting more than what the market will support for the home. If you see a high number of homes that have price reductions, that usually will signal a down-tick of the market. If the market starts to fall seller’s will reduce their prices to try and keep up with the market. The reverse can be true as well. Little to no price reductions show us an upswing in the market. If home prices are on the rise, homes that are already on the market will sell quickly, and homes coming onto the market will have higher asking prices. Many price reductions in homes’ values show a buyer’s market, and few price reduced homes show a seller’s market. Finding a home at a good value is important! Give us a call so we can help you find your dream home in Neely Ranch!